Edward Banfield: The racist, classist origins of broken windows policing. The racist, classist origins of broken windows policing. 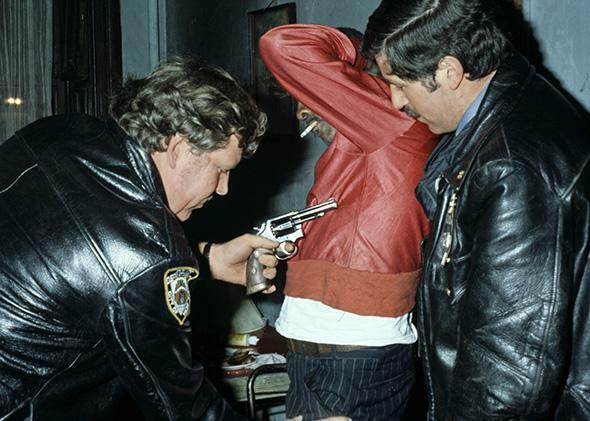 Police search a man for drugs and weapons in Harlem, New York, in April 1978. 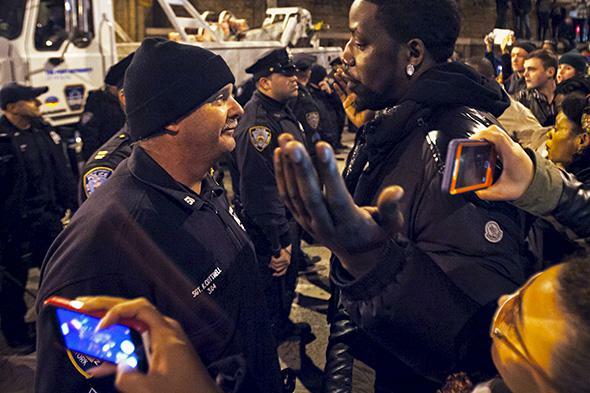 Broken windows policing is back in New York City, and it may have killed Eric Garner. “Broken windows” is an order-maintenance strategy that encourages cops to enforce quality-of-life laws on the grounds that, essentially, nits breed lice. It presumes that a disorderly environment where small laws are broken with impunity leads to bigger problems. This is the mindset that led the police to approach Garner for allegedly selling untaxed cigarettes: loose cigarettes today, civil unrest tomorrow. Maybe Bratton is right. But even if broken windows isn’t explicitly racist, it’s inherently classist, and the two are close enough as to be functionally indistinguishable. The broken windows theory was first articulated in a 1982 Atlantic article by George L. Kelling and James Q. Wilson, who argued that “disorder and crime are usually inextricably linked, in a kind of developmental sequence.” That idea is rooted in the work of a midcentury political scientist named Edward Banfield. (Wilson studied under Banfield at the University of Chicago.) Banfield specialized in refuting the main tenet of modern liberalism, the idea that the state should take an active role in improving the lives of its most vulnerable residents. Banfield contended that state intervention could only make things worse. In his 1970 book The Unheavenly City and a revised edition titled The Unheavenly City Revisited, Banfield addressed the era’s so-called urban crisis: high crime rates, riots, white flight. Liberalism was to blame, Banfield argued—or, at the very least, liberal policies would never help fix the crisis. The Great Society initiatives of the Johnson era had just served to widen class divisions and to encourage members of the lower classes to blame others for their plight, thus fostering feelings of resentment and entitlement. Banfield argued that class divisions were based less on finances than on one’s life outlook and capacity for long-range thought. Members of the upper class were future-oriented, and, thus, able to postpone short-term pleasures for longer-term rewards. Members of the lower classes—urban blacks, in large part—lived from moment to moment, and acted out of a desire for instant gratification. They were also unambitious, “radically improvident,” antisocial, and prone to mental illness. Their problems were a matter of pathology, not racial prejudice (which Banfield argued was on the wane). “The implication that lower-class culture is pathological seems fully warranted,” said Banfield. Thus, he argued, rather than waste time and public money implementing policies based on the false notion that all men were created equal, better to just face facts and acknowledge the natural divisions that exist. Members of the lower classes should leave school in ninth grade, to get a jump on a lifetime of manual labor. The minimum wage should be repealed to encourage employers to create more jobs for “low-value labor.” The state should give “intensive birth-control guidance to the incompetent poor.” And the police should feel free to crack down on young lower-class men. Like many people, Banfield believed the urban unrest of the late 1960s had been stoked by matters of civil rights. But Banfield believed the problem was that the lower classes had too many of them. Criminal behavior was human nature—or, rather, in the nature of a specific subset of lower-class humans. “So long as there are large concentrations of boys and young men of the lower classes on the streets, rampages and forays are to be expected,” Banfield wrote. The clear solution was to remove these lower-class youths from the streets posthaste. 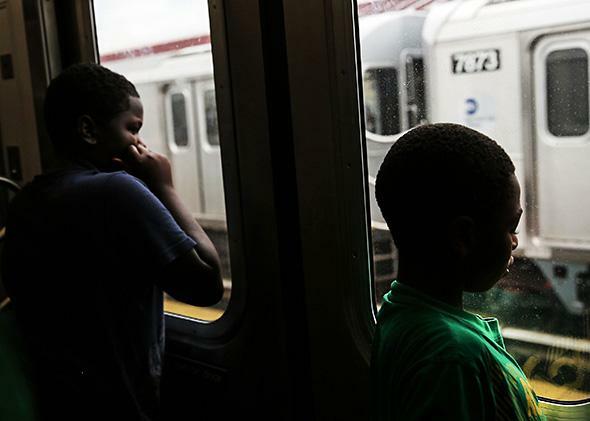 Two boys look out of a subway car after performing a rap for passengers on Aug. 13, 2014 in New York City. As part of his controversial “broken windows” policing policy, NYPD Commissioner William Bratton has officers crack down on subway performers. This is basically the plot of Minority Report and countless other dystopian fictions: empowering law enforcement to arrest or otherwise disappear individuals whose continued freedom threatens the stability of the state. These policies might play well in science fiction or Soviet Russia. But this is America, and, in America, pre-emptive incarceration is a political nonstarter. The principle behind this idea, however, is at the root of broken windows policing: the idea that lower-class men are inherently dangerous and untrustworthy and are likely to commit crimes in the future even if they’re not doing so today. To put it another way, there are times where “the essential welfare of individuals must be sacrificed for the good health of society,” as Banfield wrote. In their 1982 Atlantic article, titled “Broken Windows,” Kelling and Wilson argued that community safety can be negatively affected by a surfeit of “disreputable or obstreperous or unpredictable people: panhandlers, drunks, addicts, rowdy teenagers, prostitutes, loiterers, the mentally disturbed.” A preponderance of lower-class layabouts makes a neighborhood feel unsafe to its law-abiding residents; these residents hunker down or disassociate or move away, and soon the neighborhood actually becomes unsafe. Better, then, to stop this process before it starts, and to target minor deviant behaviors before they become something worse. In their Atlantic article, Kelling and Wilson recognized the racial implications of order policing. “How do we ensure, in short, that the police do not become the agents of neighborhood bigotry?” they asked, before essentially shrugging and moving on. “We can offer no wholly satisfactory answer to this important question.” Oh, well—hopefully everything will work itself out. People blocking the Lincoln Tunnel argue with police in Manhattan on Dec. 3, 2014, as they protest against the grand jury decision not to indict a police officer in the death of Eric Garner. More than 30 years later, the answer seems clear to me: Broken windows will always become an agent of neighborhood bigotry, because broken windows encourages cops to define lower-class men as basically another species and to make ad hoc cultural judgments the linchpin of crime prevention strategies. This is how looking different transforms into looking dangerous. This is how Eric Garner dies, mumbling “I can’t breathe,” held in a chokehold by a white police officer who works for a department led by a man who believes that if “you take care of the little things, then you can prevent a lot of the big things.” This is how you get thousands of marchers in the streets of New York City. Loose cigarettes today. Civil unrest tomorrow.